Posted on January 24, 2014 by Michael Lowe. Police officers arrest people all the time; it doesn’t mean that everyone arrested is guilty of a crime. An arrest is not a conviction. Nevertheless, for anyone who has been arrested, their future has been forever changed because now they have a criminal history of arrest in a permanent record. That arrest record can haunt someone for a very long time, as many will simply assume that the arrest is synonymous with being guilty of doing something bad. It’s not fair, but it’s reality. Additionally, some people get swept up into circumstances and violate the law; however, judges that are convinced that these folk are worthy of protection from the stigma and harm that can come from an established criminal record can allow “deferred adjudication” of the matter, giving an opportunity for the person to move forward without the shadow of a criminal record. Not every state allows for the mercy of erasing, purging, sealing, destroying, or otherwise protecting criminal records. Moreover, not every crime (for example, a serious felony like capital murder) is permitted the opportunity of cleansing from a criminal history. For more information on various states as well as the possibility of federal expungement or seal, see Myrick, A. (2013), Facing Your Criminal Record: Expungement and the Collateral Problem of Wrongfully Represented Self. Law & Society Review, 47: 73–104. doi: 10.1111/lasr.12002. Luckily for Texans, the Texas legislature has passed laws allowing for the destruction, as well as alternatively the sealing, of past criminal records. Felony and misdemeanor crimes are both permitted to be protected from future revelation if statutory conditions are met under Texas law, specifically the provisions contained in Chapter 55 of the Texas Code of Criminal Procedure. Clearing a criminal history in Texas is therefore legally permitted, and it is easier than many might think. Many people are eligible to have their criminal records “expunged” in the state of Texas, and others can free their futures of a past criminal record through filing a “Petition for Non-Disclosure” with a local Texas court. Having the ability to expunge a criminal history or to have a court grant a non-disclosure (sealed record) request can be extremely important to protecting future employment goals, scholarship awards, military advancement, admission to certain organizations as well as colleges and universities, and more. The opportunity to shield a past criminal history offers an invaluable second chance to many people. WHAT IS AN EXPUNCTION IN TEXAS? 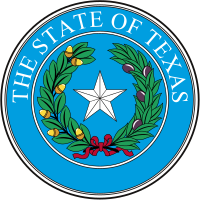 Expunction is a process available to criminal defendants in Texas. Here, a criminal defendant files a specific kind of document called a “petition” with the proper Texas court, requesting that the judge grant their desire to have all documents associated with an arrest and prosecution destroyed by those law enforcement agencies involved in the matter. It is available for charges based upon Texas state law. Successful expunctions can include the court ordering and directing these law enforcement agencies to destroy their files, including everything from the initial police reports and jail records, all the way through to the prosecution reports and trial court files. The key to an expunction in Texas: once the court grants a criminal defendant his or her expungement, that person can legally deny that they were ever arrested for, much less charged with, the crime involved in the expunction. In Texas, a criminal defendant can also file a formal request with a criminal court judge called a “Petition for Nondisclosure” which offers similar protections to an expunction but does not involve the destruction of files. When a petition for nondisclosure is granted, there is a court order that directs the pertinent law enforcement agencies that there cannot be any disclosure to any third party of the subject criminal records involving the person’s arrest, prosecution, and deferred probation. The records are not destroyed in a nondisclosure like they are in an expungement.